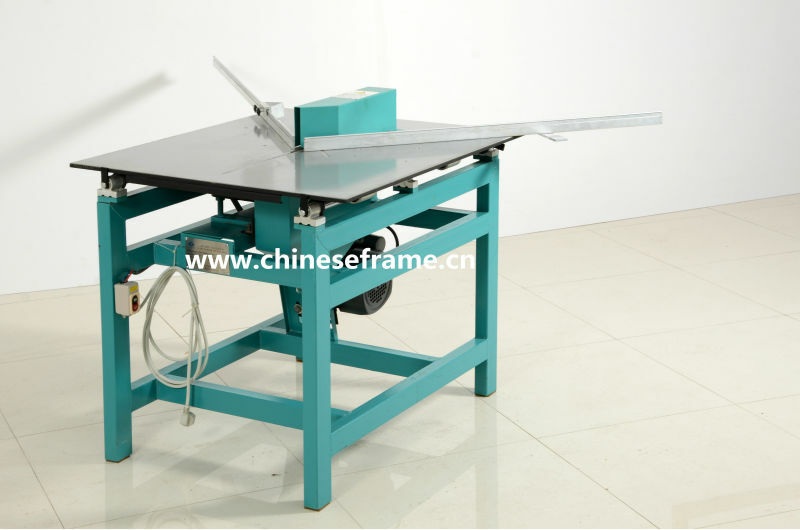 JS 203C electrical table-movable cutting machine is widely used in fields of frame cutting or decorative area etc. 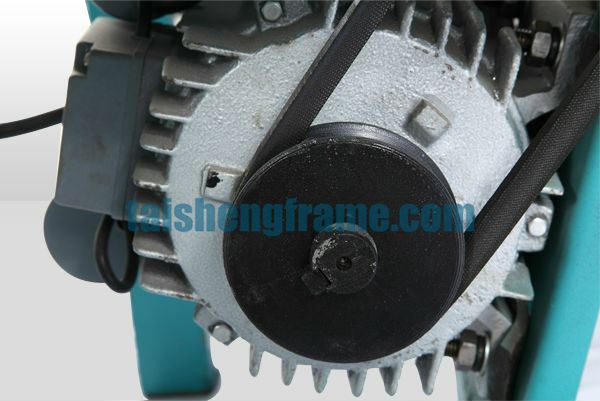 The operating for this machine is easy,convenient,safe with high-cutting speed, good cutting effect. 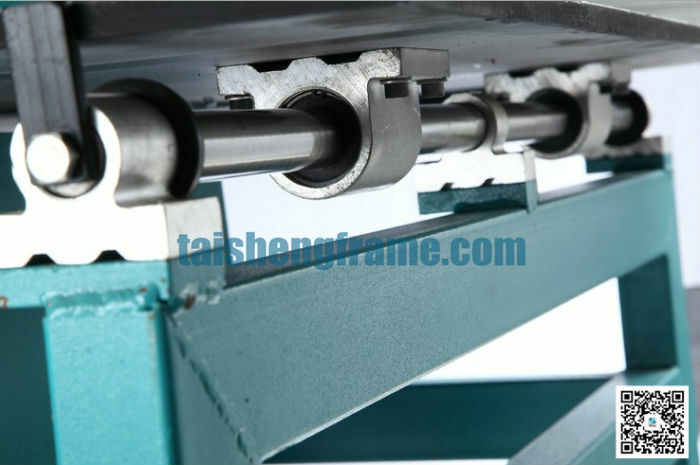 2, Strong table, The table is made by 1.8cm thick strong steel plate. This means the smoothly desk will keep the good condition for a long long time. 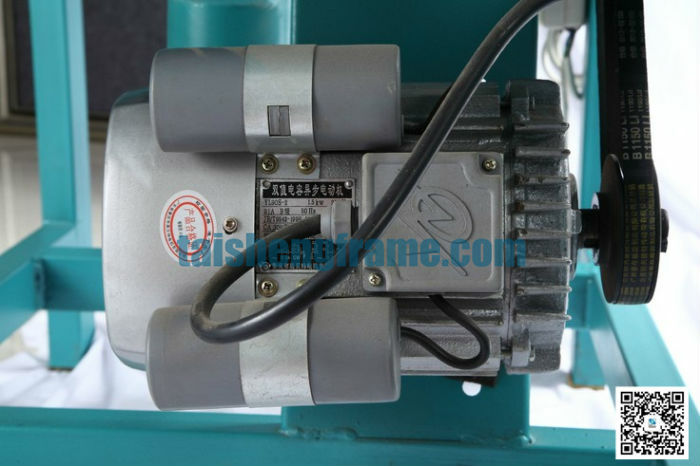 4,Quality motor, All brass accessories in it,This means it can work for a long-long time and won't get any problem to keep good cutting condition. 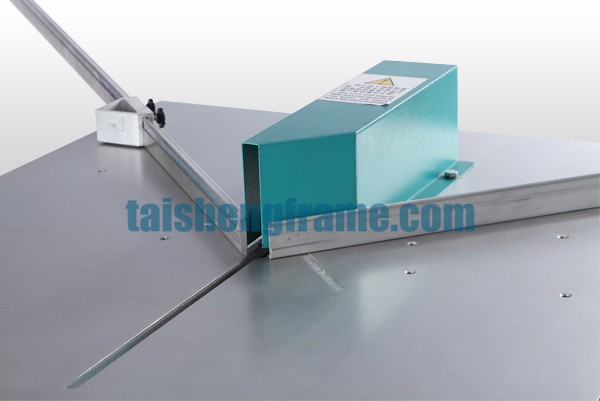 The working feature is cutting all kind of phot frames in materials of wooden frame,ps frame,aluminium strips or MDF in degree 90°, 60°, 45°.Aluminium strips in the two side on the working table could be adjusted accordingly with the holes in the table, in order to cutting degree 90,60 or 45, in this way, it could be easy to assemble frames in quadrilateral or hexagon. Click the cart on the rightside of the products to finish the order.Please leave more details on the order page,then we can get in touch with you ASAP. AOrders always can find the best way to deliver to the right place. If the goods not too large,we can find a competitive express,such as TNT,DHL,UPS or FEDex. If the goods is really heavy, We can also find some ship company to save the freight for you.